The Senyai Thai Kitchen project, designed and executed in Pittsburgh's Shadyside neighborhood by Carnegie Mellon University's School of Architecture faculty Dana Cupkova and Gretchen Craig of EPIPHYTE Lab, was awarded The American Architecture Prize 2017 in the Commercial Interior Design category. The project was designed and produced with help from the student team of fifth-year seniors Trent Wimbiscus and Sinan Goral, and Thomas Sterling and Colleen Clifford, who both graduated with bachelor's degrees in architecture in 2016. 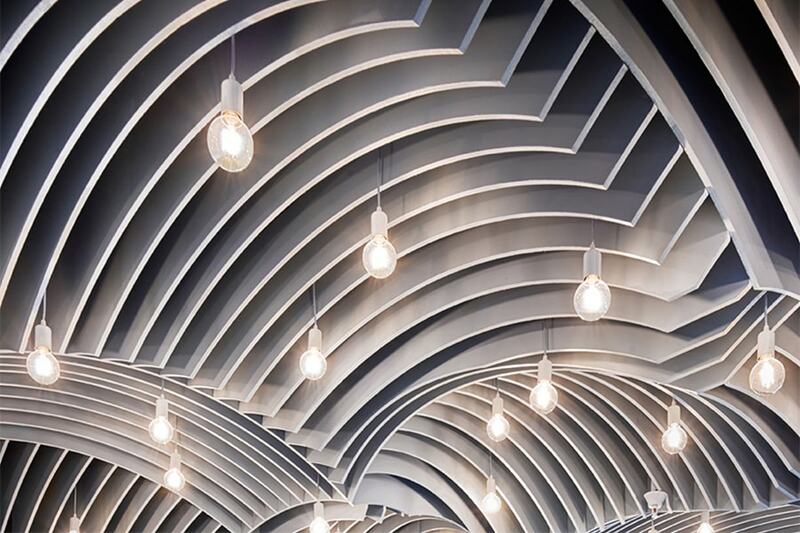 The restaurant's ceiling, inspired by vaulted geometry of ancient Thai architecture, incorporates acoustic and lighting performance into a contemporary spatial experience. 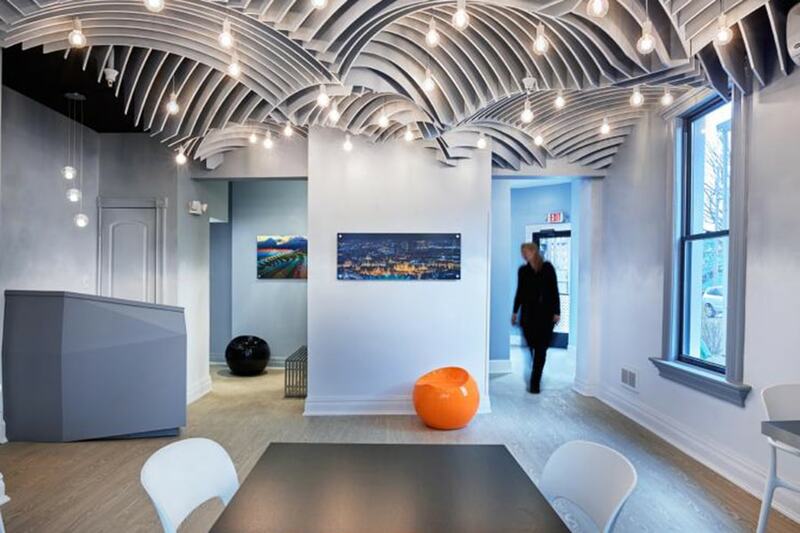 Visual layering of ceilings fins is suggestive of movement while reducing the reverberation of sound in individual vaulted zones, thus creating localized acoustic privacy within the space. The texture and color of the surface's 275 unique vertical slats play with light to create a sense of spatial weightlessness and visual expansion. At the same time it appears as a continuous surface, mimicking an active body of water, or, in homage to the restaurant's name (sen yai translates to "big noodles" in Thai), a bowl of hot noodles in broth. 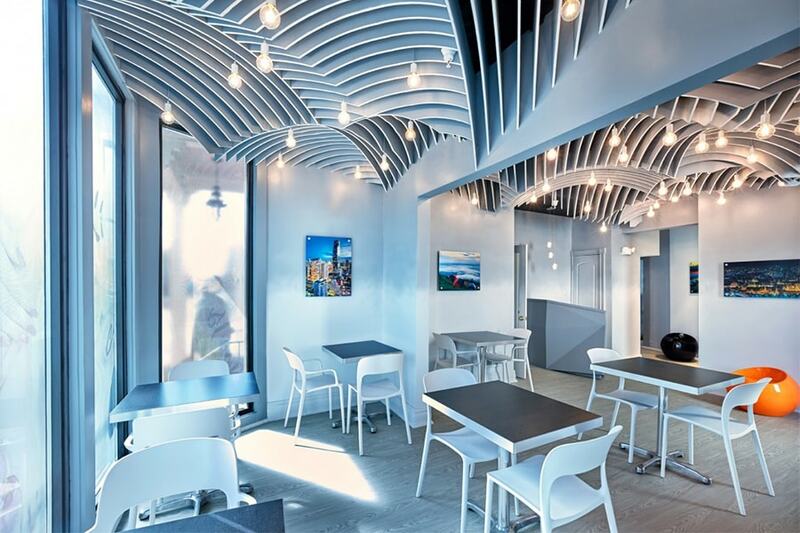 The 340-square-foot restaurant at 5865 Ellsworth Ave. recently won the American Architecture Prize in Commercial Interior Design. 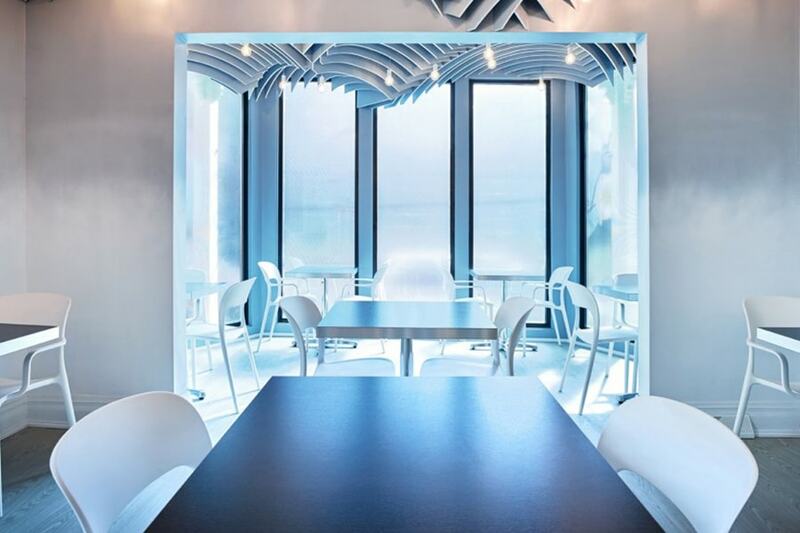 The restaurant's ceiling, inspired by vaulted geometry of ancient Thai architecture, uses fins to suggest movment and reduce noise. Senyai Thai Kitchen was designed by CMU's School of Architecture faculty Dana Cupkova and Gretchen Craig of EPIPHYTE Lab with help from students. "At the Epiphyte Lab, we want to collaboratively materialize advanced design ideas and enable students to play within and participate in what is, essentially, a 'pre-practice' design laboratory, while also experimenting with realization of cutting-edge projects," said Dana Cupkova, principal and founder of EPIPHYTE Lab and an assistant professor in the School of Architecture. The American Architecture Prize is an international prize selected from over 1,000 entries worldwide that recognizes individuals and teams who have made a substantial contribution to all areas of architecture. It celebrates those who push boundaries and set new standards. Buildings clearly need to be practical and serve a purpose, but the AAP recognizes that excellence in architecture goes far beyond that.